Mint and Aqua are the IN colours this summer. 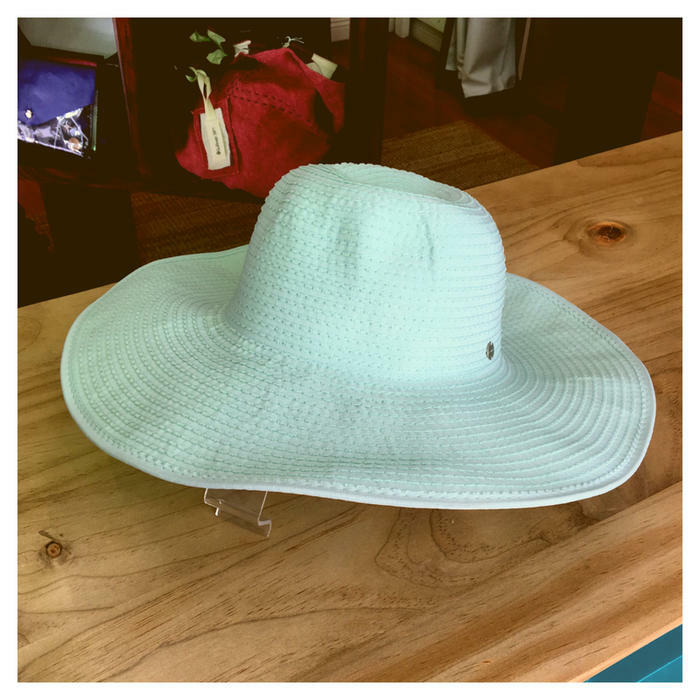 Take your beach looks and swimwear ensembles to life with this fabulous 'seafoam' wide brim hat from Australia's Kooringal. Easy to pack and will take a knock or two this wide brim hat will serve you well.